SOHO VPS 8557463859 FL - What is this Charge on my Bill Statement? I got the same charge on my CC. It is a web hosting site. I did not use this service. It is fraud. I called CC and locked card. New card coming. Robert, could you share the company with our readers? We will publish their contact information to make it easier for future consumers. I got scammed the same way the company is SOHO VPS the phone number is 855-746-3859. I got scammed same way the company is sohovps 8557463859. I got the same charge and I've never used their service. When fraud department at Visa called the company they said it was a mistake and agreed to credit my account. This is a scam. Only people who question the charge get a credit. If you don't review you monthly statement they win and get your money. Charges are small enough $15.99 that they don't attract attention of the card holder. I'm glad I did. same charge on mine $13.99. When I called number, it says that they are refunding the money. I disputed the charge anyway. Got the same charge. 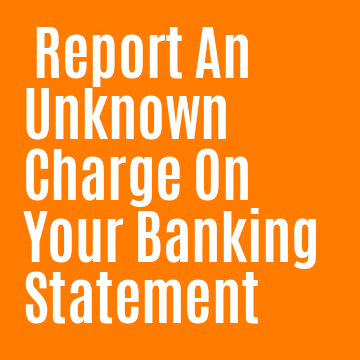 Call your credit card company and report it. They'll void the charge and issue a new card. Yep, got hit tonight, overdrafted my account to boot...Luckily I caught it the same night it happened. Bank cut off my card and sending me a new one. They have hit mine twice. I just got repaid from the last time and now its happened again. Wth I'm sitting here watching TMZ and all of a sudden I get a notification through my bank that there was a charge made thru VPS Conner. Wth. About to call my bank right now. I don't know a darn thing about this freaking company!!!!!! !